They’ve done it! The team was very pleased to say that 1030 miles have been completed in 13 straight days from 6th to 18th June 2016. 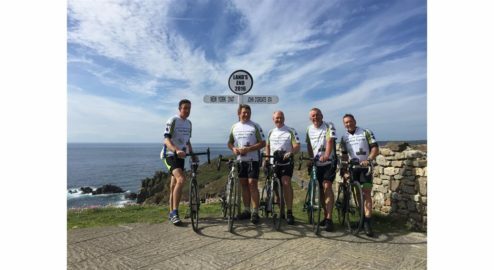 They set off from John O’Groats on their 1030 miles cycle ride to Lands End. Mainly wet, slippy road surfaces had a few falls & bikes needing repairs but overall a great success & moneys raised is fantastic! Richard & the others have received some amazing support from many people & the team really appreciates all your support.